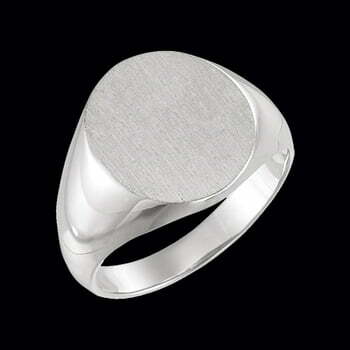 Men's Platinum Solid Oval Signet Ring. This design is available in three sizes, our price shown is for the 14mm x 12mm center. Ring features a solid closed back and weighs 14 grams. Email for laser or handwritten engraving options on this ring.